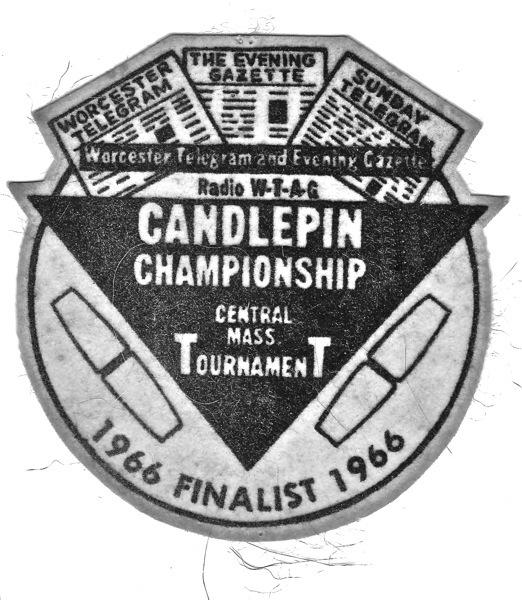 "In 1880, Justin White devised the game of candlepin bowling at his billiard and bowling establishment on Pearl Street. The ball is 4 inches round and weighs 2 pounds. The pins are 15 3/4 inches high, about 3 inches wide in the center and tapered at the top and bottom. The pins are spaced 12 inches apart. Pins knocked over are not removed. Candlepins are so difficult that despite the fact you get three balls per frame, no one has ever bowled a perfect game. The highest ever score: 240. A 300-triple is considered a good score. The game is played in Massachusetts, New Hampshire, Maine and the Canadian Maritimes. It’s worth the trip, just to bowl a string. As long as you’re there, head down to Southeastern Mass. or to Rhode Island and try duck pins."